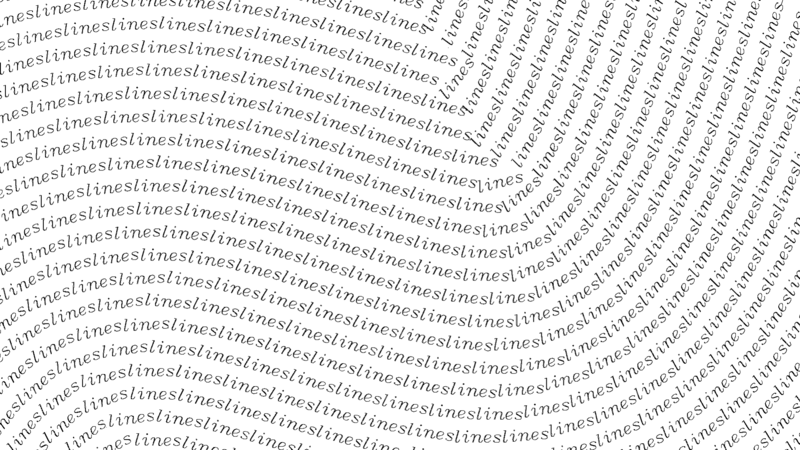 Lines is a sequence of audio-visual essays, unequal fragments, enclosed by the palindromic structure of the first and last essays. These components, these fragments, have no pretensions to being musical movements—they have neither the length nor the grandiloquence—they remain essays. Each is a visual description of just one small aspect of abstract line in compositional space. The music makes parallel comments either respectfully or with lampooning wit. Both sound and image are drawn from physical world—the sounds by digital sampling and the images by traditional photography. Both sound and image are reshaped and sequenced to become formal elements in the temporal structure of the work. In this sense, both are musique concrète. I intended the central essay to be an extended meditation on two Xanthorrhoea. The photographer John N. Crossley1 had noticed a stand of these plants in a forest near his home in Steels Creek, Vic. When he showed them to me, I was struck immediately by the elegance and complexity of their linear forms. I photographed in silence for a hour or so, conscious of Minor White’s injunction to be in the moment . Later, I selected three of the slides and rephotographed them repeatedly. I made multiple exposures keeping the three slides in the same register but changing the emphasis and the colour. In this way, three slides of two plants became an extended sequence in which the lines remain, in theory, compositionally static but provide, in reality, both drama and movement. Another essay reverses this concept. Subjects radically different in both scale and substance make the same compositional gestures; they reveal no drama and little movement. The remaining essays are little conceits. The sound world of Lines is engaged in a dialogue with its visual counterpart. When sound is employed in such a way as to amplify image in prescribed culturally determined patterns, it plays a withered role. In Lines , sound at times emphatically diverges from image with respect to meaning, thereby opening up the space that is a difference between the two. There are times however when sound and image relax together and enjoy a gentle game of imitation. In Lines , meaning is happy to appear and equally happy to disappear. Techniques used in Lines were predominantly granular in nature. Most of the manipulation was done using Csound, Cmask and Supercollider 1.1b. The resulting material was coordinated in DECK II on Mac PPC 7200/120. I would like to thank Tim Brook for the opportunity to collaborate with him on such a worthy project. I would also like to thank David Worrall3 for his enthusiastic and tireless support. This page was last updated on 6 February 2019 .